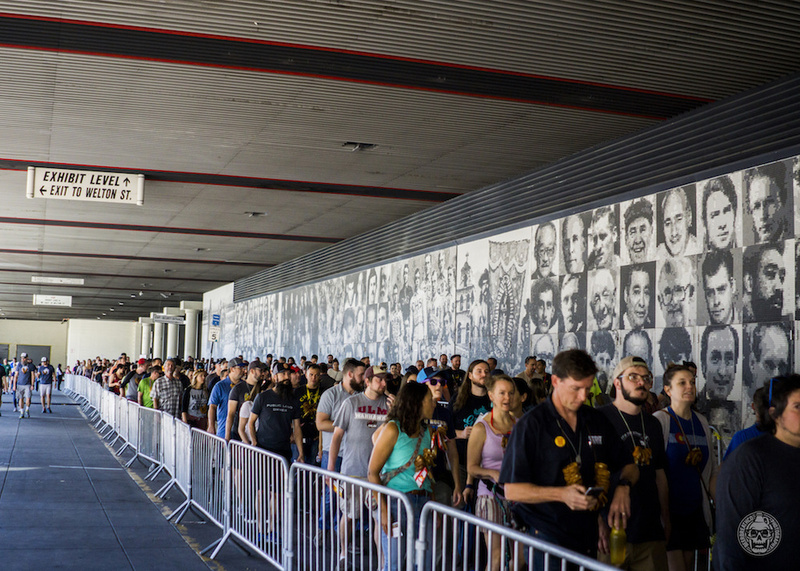 America’s largest beer festival has come to a close once again. 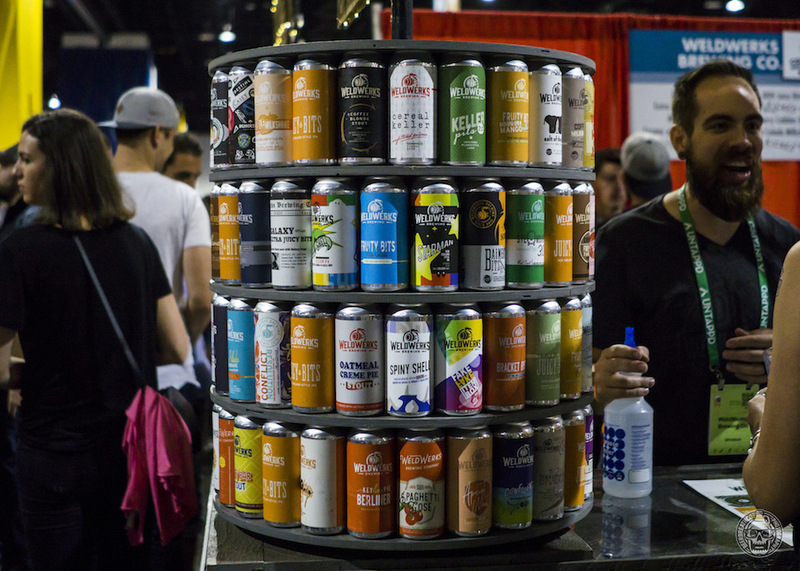 After a week fueled by obscene amounts of beer, even greater volumes of caffeine, and the occasional Illegal Pete’s burrito, we’ve emerged once again from the clutches of the Great American Beer Festival, with an entirely new perspective on the newest crop of talent in craft beer. 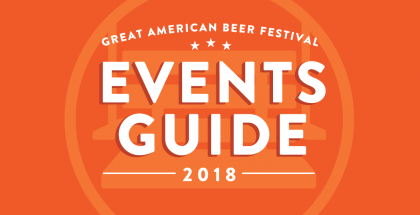 Celebrating its 37th anniversary, this year’s GABF saw an expanded landscape, a new layout (alpha order versus geographical), new sponsorship activations from Buffalo Wild Wings and Jameson that both saw tangible alignments with beer, and the full onslaught of the haze craze just to name a few of the major prevailing themes of last week’s fest. Additionally, we happened to break the story via Twitter, on two of the biggest storylines that occurred during the fest. The first focused around Wicked Weed’s initial attempts to obscure their booth sign, by covering up the label recognizing that they were owned by Anheuser-Busch. It was revealed later that the Brewers Association made the Wicked Weed team lower their beer description signs to fully display ownership once again. 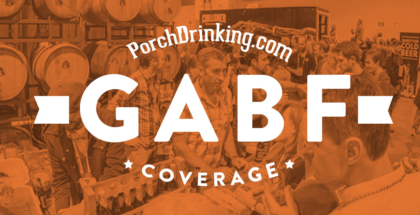 The second story came during the GABF Awards Ceremony when our watchful social media guru spotted a member from the Cloudburst Brewing team, who revealed a “F*ck AB In-Bev” message on his shirt while accepting their medal on-stage with Charlie Papazian. 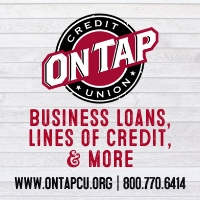 We won’t use this post to debate the ins and outs on the BA’s relationship with ABI in regard to GABF but we’ll certainly discuss more on that soon. Let’s talk a second about dishonesty. Here’s the before/after shot of @wickedweedbeer ‘s #GABF sign. Notice what they’re covering up? 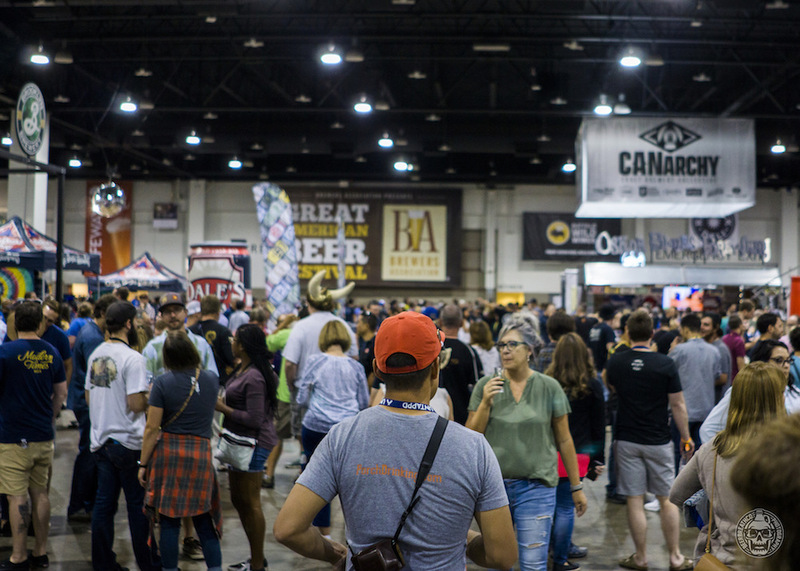 So instead, we shift our attention to what folks really care about after GABF, which were the best overall and rising breweries and beers discovered at the fest? Again, bear in mind that it’d be virtually impossible to try every brewery at the festival, but among our team, these were some of the best of the best that we discovered. Arrowood Farms – Arrowood Farms was our big surprises of the festival. The former hop farm, turned wild/spontaneous brewery blew us away with their full lineup. And their use of aged hops called upon techniques employed by Jester King and Belgian Lambic producers before that. 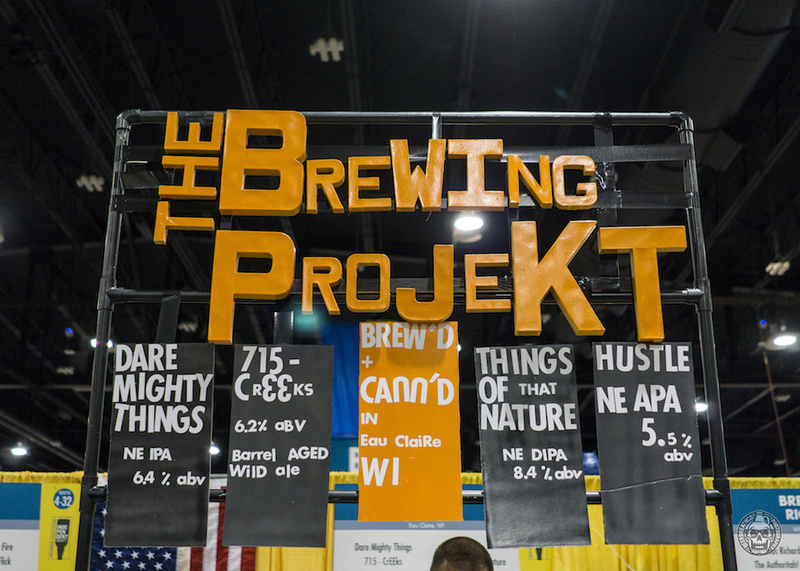 The Brewing Projekt – Following a theme which you’ll see appear several other times on this list, The Brewing Projekt out of Eau Claire, WI was able to excel in both Hazy IPAs and also their 715 – Creeks. This barrel-aged Wild Ale stood out as one of the more interesting and complex beers we tried all weekend. Brink Brewing – Cincinnati’s Brink may not be producing the most flashy or trendy styles, but there’s always a place for breweries who brew tremendous beers to style. After taking home a pair of golds for Moozie Milk Stout and Hold The Reins English Mild, Brink also earned the distinction of Very Small Brewery of the Year, meaning this rising young brewery was recognized as one of the best breweries of the year. Calusa Brewing – We had heard some buzz coming from beer insiders when this year’s GABF brewery list was first announced about this upstart brewery out of Sarasota, FL, and they didn’t disappoint. Calusa absolutely nailed it from their mixed fermentation project in Foederhead to their hazy hop-forward offerings in Stormrage and Focus. 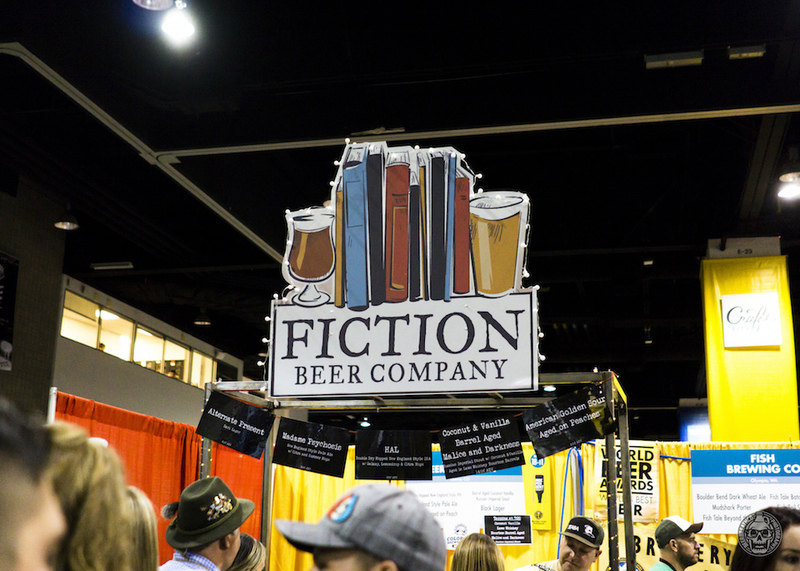 Fiction Beer Co. – While they’ve been making great beer since they first opened, Denver’s Fiction Beer Company really hit their stride in recent years. Both their Madame Psychosis (which took home a Bronze medal in the Juicy/Hazy Pale Ale category), and their Laws Whiskey Barrel Aged Coconut Vanilla Malice and Darkness RIS were both revelations and really represented their ascension to Denver’s upper tier of breweries to watch. 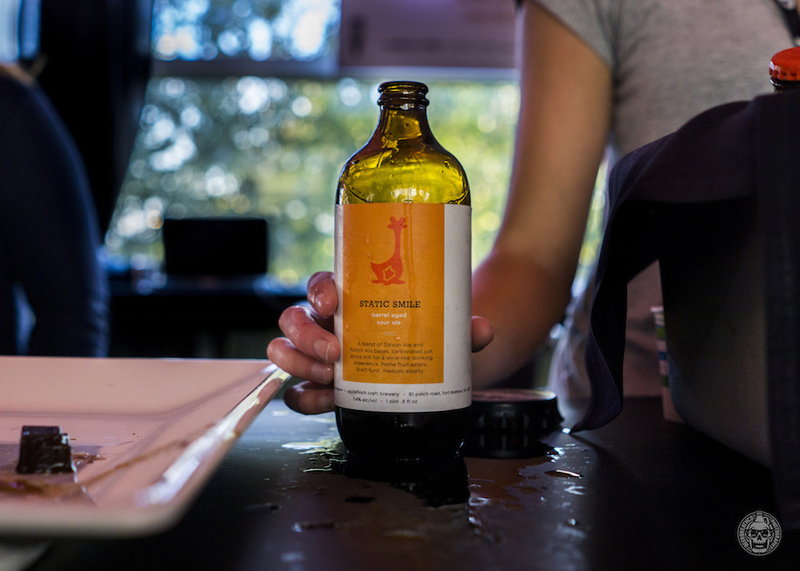 Forager Brewing – Last year we were blown away by Forager’s Pudding Goggles and this year not only were we reminded of how tremendous that beer is, but we were also introduced to Gummies Make Us Likeable. 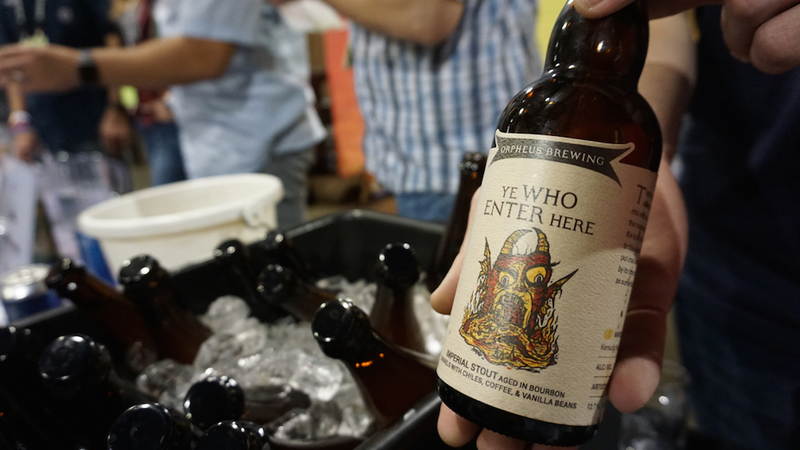 That Berliner with passion fruit, mango & pink guava was one of the standouts in fruit-forward beers tried at the fest. Fernson Brewing Company – Forget geography, it’s 2018 and at this point, prolific breweries can come from just about anywhere on the planet. Which is why nobody should be shocked to find great beer coming from South Dakota. While not overly flashy or trendy, Fernson Brewing is cranking out solid beers across the style board. We were thoroughly impressed by their Farmhouse and Lion’s Paw Lager to name a few. Hop Butcher for the World – We were first introduced and wowed by the gang from Hop Butcher during this year’s WeldWerks Invitational. 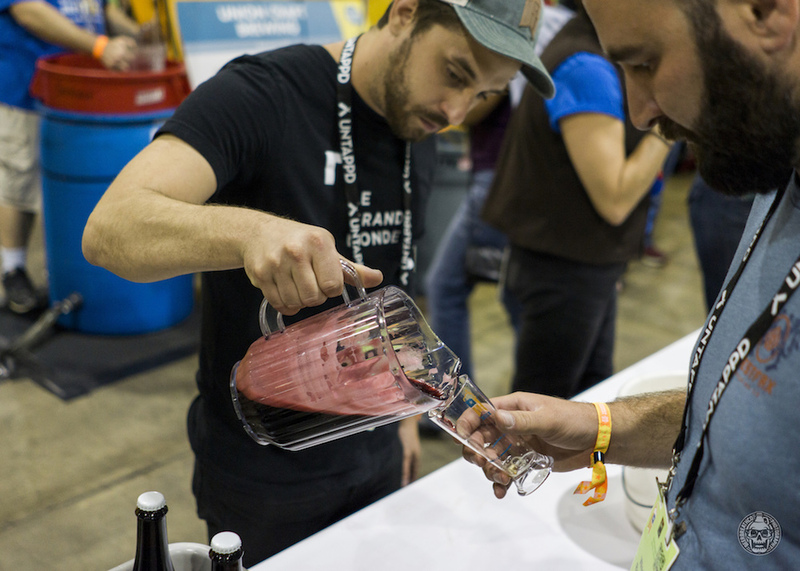 But their appearance at GABF reaffirmed and validated the strength of their aptly named, and spectacularly composed hop-forward lineup. While we’re typically averse the overly sweet style of milkshake IPAs, Hop Butcher’s Blazed Orange Milkshake was anything but. Instead, we were treated to bright citrus flavors and balanced by a pleasant hop finish with just a subtle level of lactose presence. Additionally, their Galaxy-hopped Galaxy Bowl was a standout Double IPA that perfectly showcased the floral, citrus-y profile of the hop variety. 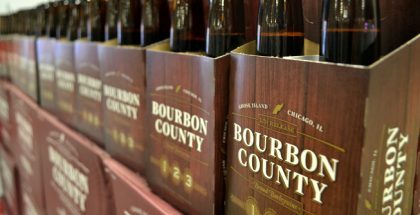 More Brewing – There’s a reason this much-ballyhooed brewery in the burbs of Chicago has been garnering so much attention. Easily one of the most popular breweries at the fest, their Barrel-Aged Henna Stout, a barrel-aged Imperial Stout with cocoa nibs, cinnamon and loads of toasted coconut, Henna Swirl, a chocolate and vanilla Imperial Stout aged in Bourbon barrels. and Mendhi, an Imperial Stout aged for over a year in Weller barrels, topped the list of our favorite barrel-aged Stouts of the fest. The hype train is real, get your ticket now. 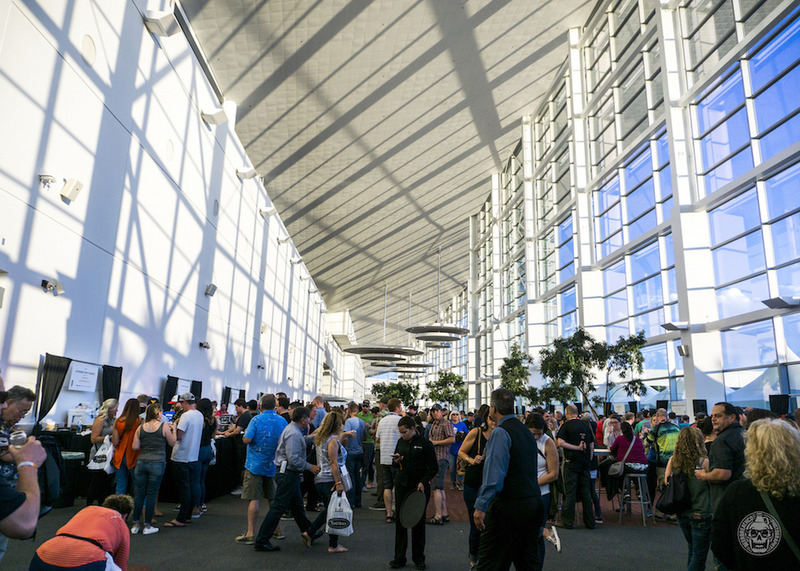 Ology Brewing – Florida continued to impress as Ology Brewing showed up in a big way. This Tallahassee-based find killed the haze game with both DDH Sensory Overload, and Heliocentric Distortion, but their heavily fruited Berliner, Juice Lab, featuring passion fruit, blood orange, and raspberry (PBR), was an absolute tart gem. 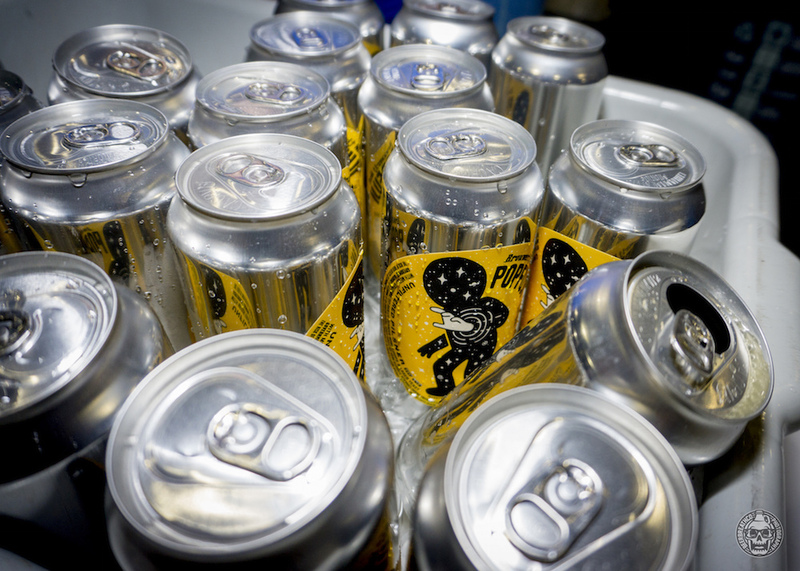 Oozlefinch Craft Brewery – One of the bigger knowns to jettisoned themselves on the national scene this year was Virginias Oozlefinch Craft Brewery. 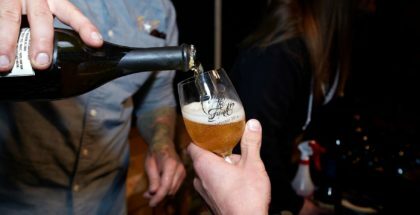 Displaying proficience in hazy-styles and sour/brett/wild beers, Oozlefinch nailed every offering including their Deep Meditation, a fruited barrel aged sour Imperial Saison that was allowed to ferment and sour in their Virginia Cabernet Franc and Chardonnay barrels. Orpheus Brewing – Perhaps the biggest surprise of the fest came from Georgia’s Orpheus Brewing, who brought the house with one of the most completely impressive lineups of the weekend. From their Méthode Traditionnelle 3 Year Blend, Everything Lasts Forever, to Ye Who Enter Here, an Imperial Stout aged 26 months in bourbon barrels and finished with vanilla beans, coffee, and guajillo chiles, to Noise and Flesh a Wild Ale aged in wine barrels, to Chaos, Night, and Darkness a blend of spontaneous and wild ales aged 2 years in barrels and refermented with merlot and old vine zinfandel grape must, blackberries, and blueberries, it was a never-ending hit machine. 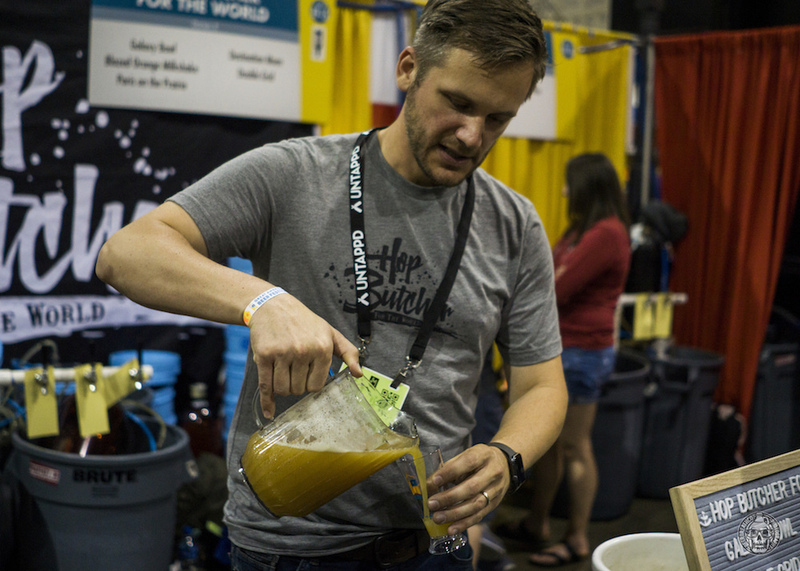 Southern Heights Brewing – We first came across the killer beers coming from Southern Heights on a fortuitous interluded at their Austin-based brewery and seeing their beers at GABF re-affirmed the awesome program being produced by these relative newcomers. Their strength is in hops, but their entire line-up is just being done so so well. While much focus will be made around Texas’ Lager program, these fellas are killing the hop game, and folks should begin taking notice. 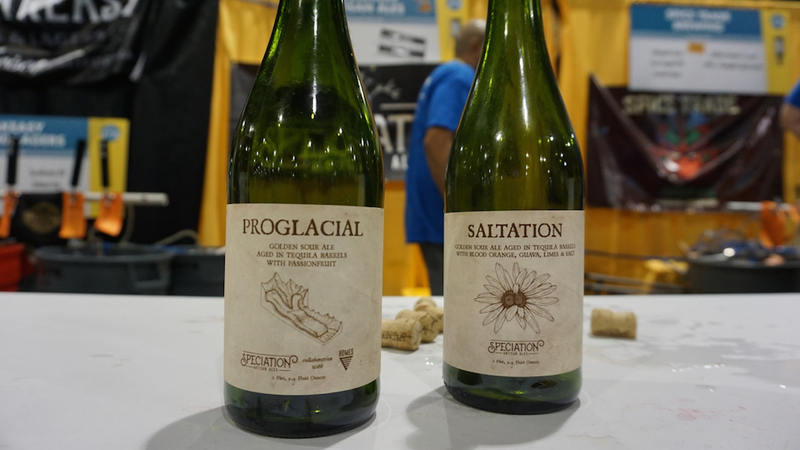 Speciation Artisan Ales – We waxed poetic last year on the killer stuff coming from Speciation and it would be a disservice if we didn’t continue to carry the banner behind what is arguable one of the best breweries in the country. The Ermatingers continue to lead the pack in subtle, nuanced barrel-aged sour and wild/mixed fermentation beers and this year’s Protoconsciousness and Wine BA Magic Trait to name a few, were no exception. Une Annee – The Illinois gems keep coming out of the woodwork. 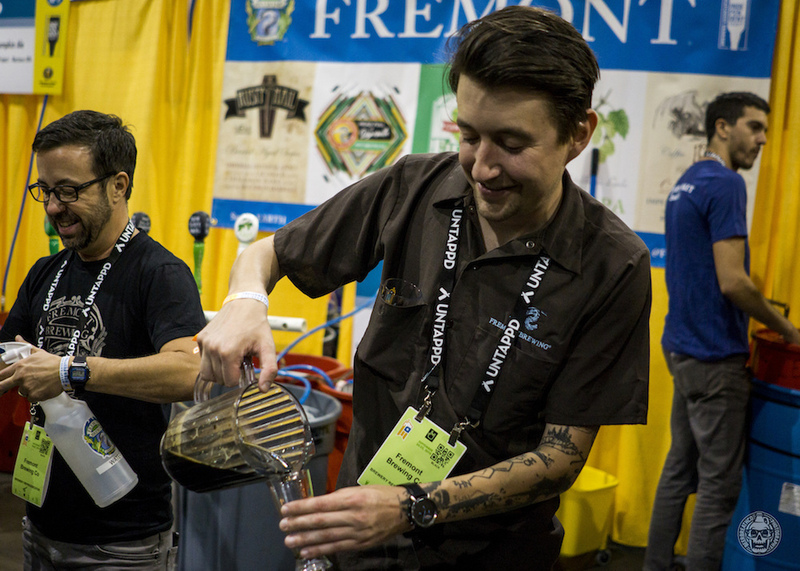 If you’ve got the calibre of beer to really make a splash at GABF why not go big. Une Annee which specializes in Belgian and French styles brought the house with a trio of Wild Ales, most notably their Framboise. But even more impressive was their Barrel-Aged El Zacaton, an Imperial Stout fermented with almond flour, cacao nibs, cinnamon sticks, vanilla beans, ancho chilies, guajillo chilies, habanero chilies, and cherrywood brewed under their Hubbard’s Cave brand, stood out as one of the spirit best barrel-aged clean beers of the entire festival. Vista Brewing – If you’re going to do wild Farmhouse-style ales in the general vicinity of a titan in the industry like Jester King, you better be damn good. 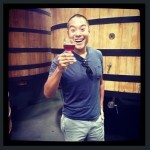 Luckily, Vista Brewing located in Driftwood is damn good, and bringing head brewer Josh Watterson over from Brasserie Saint James is a great way to accomplish that. 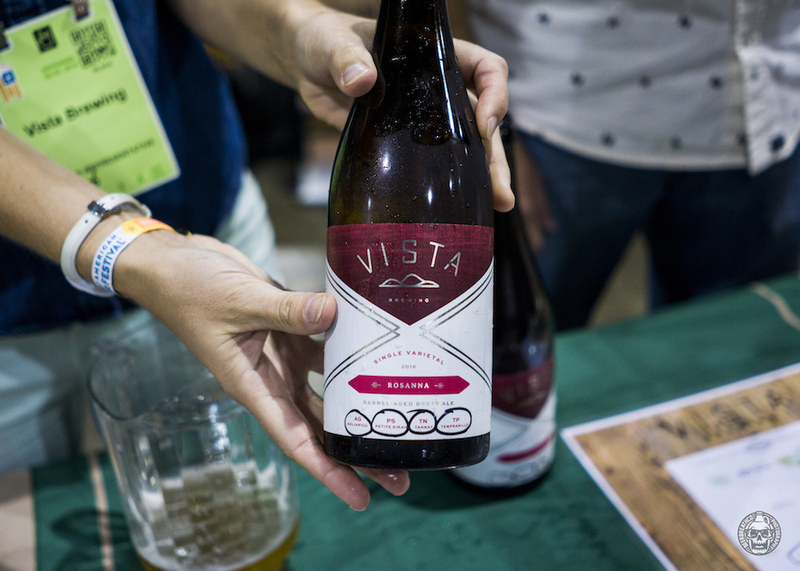 Focusing on both classic approachable styles and the aforementioned nuanced Farmhouses, Vista’s Rosanna, a Brett Saison aged in freshly dumped wine barrels, was one of the stand-outs of the festival.